We are located three miles east of I-75 (exit #384) at the intersection of Archer Road and Gale Lemerand Drive, and just west of UF Health Shands Hospital. Parking is available at the UF Health Medical Plaza parking garage, which is just east of the Medical Plaza off Gale Lemerand Drive. Parking for patients or patient visitors is complimentary with a voucher. Valet parking is also available in the front circle of the hospital ($3 with voucher, $13 without voucher, free for disabled). Patients and visitors must ask for a parking voucher at the check-out area, nurses’ station or other designated area when leaving their location of service and present it to the attendant upon exiting the garage. Please be advised that parking is cash only. 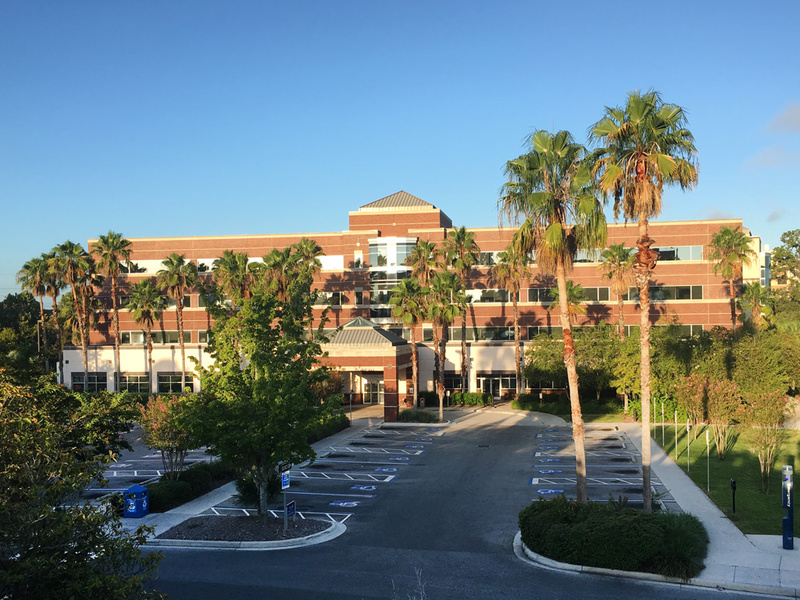 Free disabled is available immediately outside of the entrance to the UF Health Medical Plaza or on the west side of UF Health Shands Hospital in specially designated spaces. Our office is located on the second floor of the Medical Plaza. Take the elevators to the second floor and turn right. Pediatric Specialties will be directly ahead.